Allianz SE, Europes biggest insurer, and Frances Axa SA may also bid for RSA, whose shares have trailed peers in the past year. (Bloomberg) — Zurich Insurance Group AG said any offer for RSA Insurance Group will probably be in cash. Wednesday’s statement from Zurich means “there’s a very high likelihood that it will come through with an offer in the next few weeks.” said Ben Cohen, a London-based analyst at Canaccord Genuity Corp.
Zurich’s deliberations are a sign of a revival in mergers among European insurers, crimped by tighter regulation and the debt crisis. Allianz SE, Europe’s biggest insurer, and France’s Axa SA may also bid for RSA, whose shares have trailed peers in the past year, analysts said. RSA is planning to hire Goldman Sachs Group Inc. and Robey Warshaw to advise on a possible sale, a person with knowledge of the matter said on Tuesday. Morgan Stanley is advising ZurichInsurance. RSA fell 2.3 percent to 506.5 pence at 11:09 a.m. in London, after gaining 18 percent on Tuesday, the biggest advance since the company was formed from a 1996 merger between Sun Alliance Group and Royal Insurance Holdings. Zurich dropped 0.2 percent, extending yesterday’s 1.8 percent decline. A deal would be Zurich’s largest since 2000 and let Chief Executive Officer Martin Senn, 58, expand in the U.K. and Latin America as well as access RSA’s profitable Scandinavian and Canadian units. 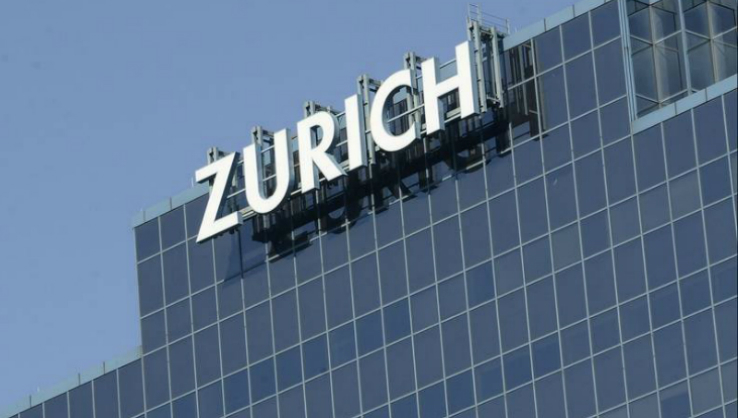 Zurich reiterated in May that it would redeploy $3 billion in excess capital by the end of 2016, either for buyouts or a return of capital to shareholders. Because the offer will probably be in cash neither company is required to provide updated disclosure on how many shares they each have in issue. Zurich would probably issue debt to help finance the acquisition, Cohen said. Analysts at Panmure Gordon & Co. estimated the price for the British insurer at about 563 pence a share, or about 5.7 billion pounds ($8.8 billion). Probable cost-cutting benefits justify an acquisition price of 550 pence a share, said Mark Cathcart and Anasuya Iyer, analysts at Jefferies International Ltd.